Head over to Target to check out all the new items from Magnolia Hearth & Hand! 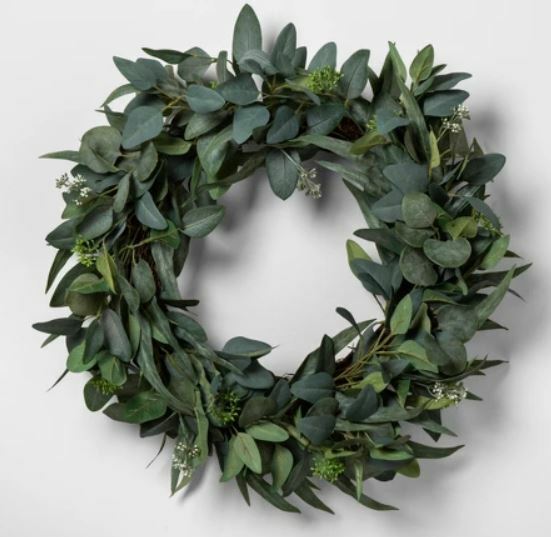 One favorite is this Faux Eucalyptus Wreath – Hearth & Hand™ with Magnolia on sale for $9.99 and this Faux Seeded Eucalyptus Wreath – Hearth & Hand™ with Magnolia for $34.99 (pictured). Plus, check out Joanna’s style tips and get her everyday how-tos. Plus don’t forget to use your Target RedCard for an additional 5% off of your purchase and free shipping!